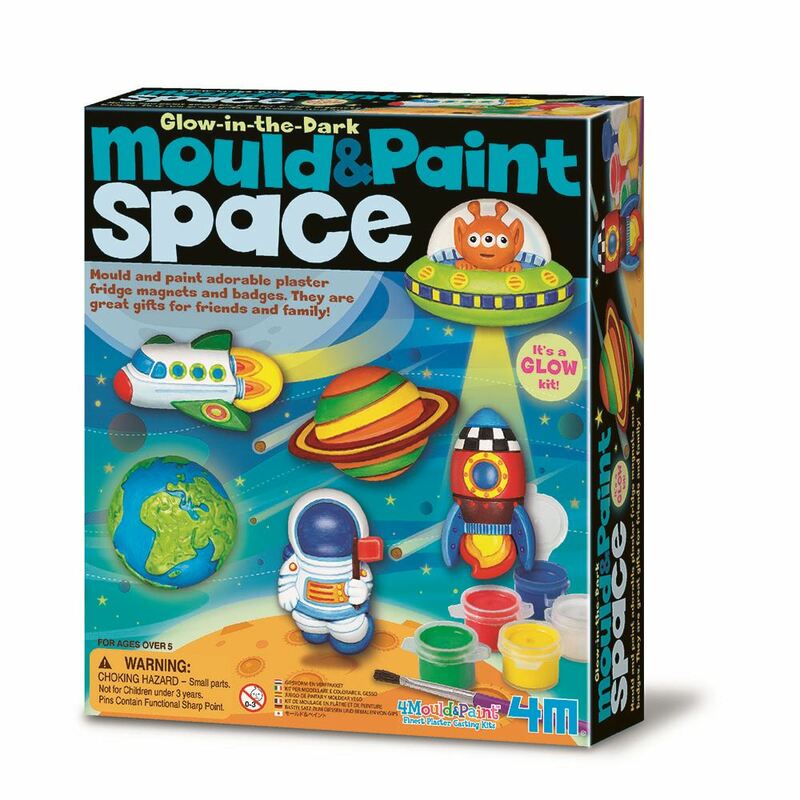 Make and paint your own glow in the dark space magnets or badges with this Mould and Paint kit from 4M. Contains enough material to make 6 figurines. Includes: a mould with 6 designs, a paint strip, 2 glow paints, 6 magnets, 6 pins, a paint brush, fine quality plaster and detailed instructions. Age 5+ years. Distributed in New Zealand by Holdson.